Glam Morena: ColourPop Pressed Powder Shadows. I was so excited when ColourPop released their Pressed Powder Eyeshadows a few months ago. 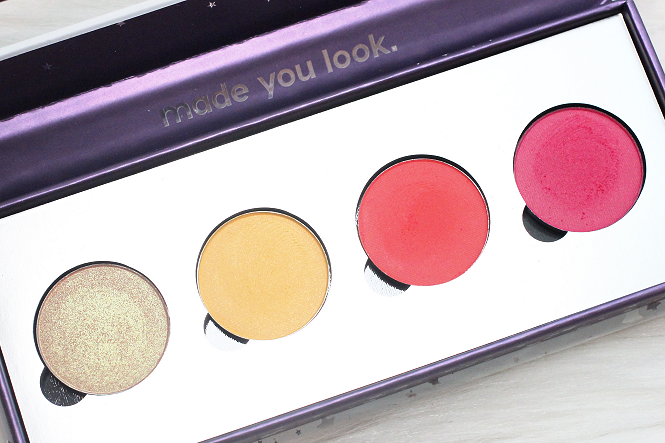 The eyeshadows are available in matte, satin, and metallic finishes. 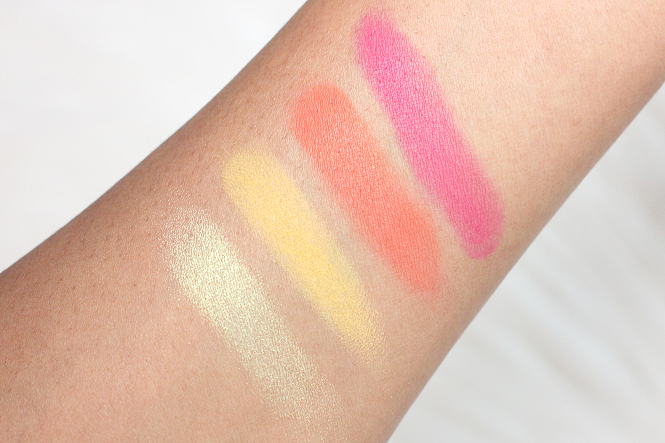 On today's post I will be sharing the first 4 shades I purchased. 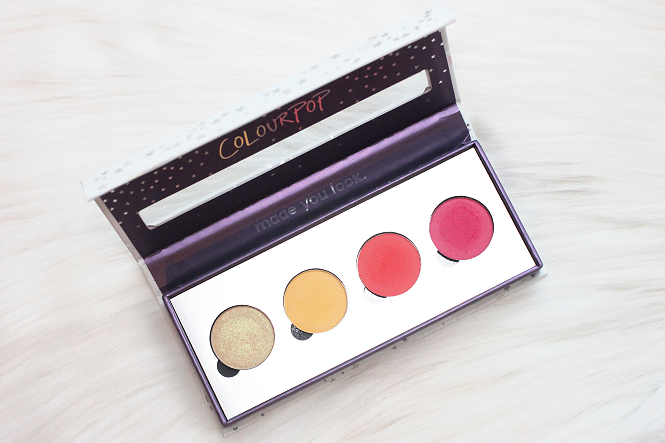 Don't forget to click here to check out my swatches of ColourPop's first pressed eyeshadow palette. Description: Highly pigmented shadow that applies evenly and feels ultra-velvety and silky. This long wearing formula contains a unique combination of softer powders which adheres easily to the eyes, gives a soft focus effect, and blends smoothly and evenly. ColourPop was offering a free eyeshadow palette if you purchased 4 eyeshadows. 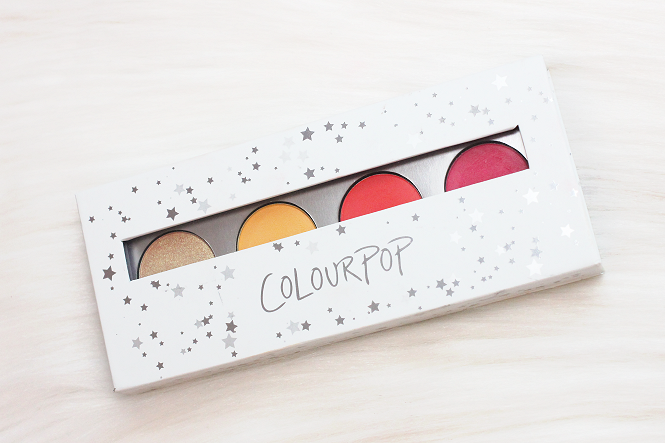 Here is a closer look at my ColourPop eyeshadow palette. The vibrant colors! ColourPop Eyeshadow Swatches from left to right: Play By Play, Tiki, Oh Ship, and Seas the Day. I have been really impressed with the ColourPop Pressed Eyeshadows so far. The pigmentation has been great, even with the yellow eyeshadow. Since this order ColourPop has released empty palettes that you can fill up with your magnetic pans. 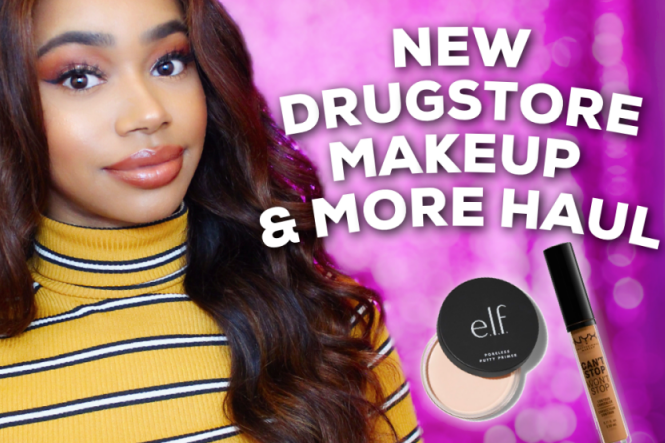 Be sure to check back soon for more swatches! Have you tried the Pressed Shadows yet? Favorite shades?